Below are discounts and special rates available to Buffalo State alumni from our community partners. Your patronage of these companies supports the Buffalo State Alumni Association at no cost to you. Get carded to get started today! 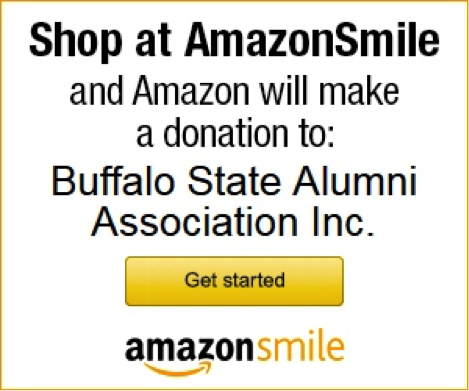 Shop for your favorite products on Amazon.com and support your Buffalo State Alumni Association at the same time, thanks to the AmazonSmile program! AmazonSmile is a website operated by Amazon that lets you enjoy the same wide selection of products, low prices, and convenient shopping features as on Amazon.com. Tens of millions of products on AmazonSmile are eligible for donations to your Alumni Association, and 100% of the donation amount generated from your eligible purchase on AmazonSmile will be donated! The difference is that when you shop on AmazonSmile, the AmazonSmile Foundation will donate 0.5% of the purchase price to the eligible charitable organization of your choice. Click here to start supporting your Alumni Association today! All alumni are invited to sign up to receive monthly discounts and offers in their inboxes! Receive 25% off spirit gear at the Barnes and Noble Bookstore at Buffalo State when you sign up for the offers. Sign up now: Barnes & Noble College website. Alumni can also receive 10% off in-store merchandise with proof of alumni status (i.e. Alumni ID Card). Save 10% on all floral arrangements and specialty gifts with FTD.com. 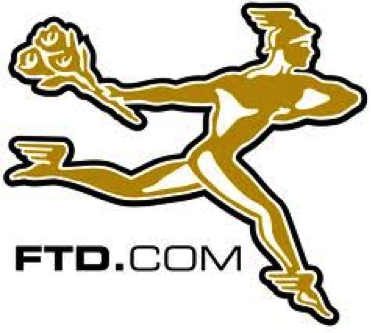 Order by phone at 1-800-SEND-FTD (1-800-736-3383), and simply mention code "4549" to receive your discount, or visit FTD.com to place your order. 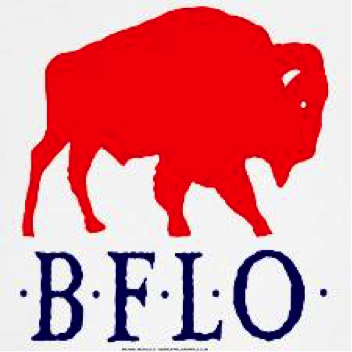 During the Blizzard of '77, Buffalo artist, Michael Morgulis, created his first New Buffalo Graphics design. Since that time, "The Buffalo Series" continues to develop as a work in progress on t-shirts, posters, prints and other graphic arts objects. Michael's work is available for purchase at the New Buffalo Graphics Store (1417 Hertel Avenue). A complete catalog of Michael’s work is also available online at www.mmorgulis.com. You can receive a 10% discount on all in-store purchases of $20 or more by calling Michael directly at (716) 885-5188 or stopping by the store Tuesday through Saturday, 12:00-5:00 PM, and presenting your alumni ID card. Michael has an extensive collection of limited edition prints of local landmarks as well as historically-themed subjects. You can find his entire portfolio of work at www.mssgraphics.com. 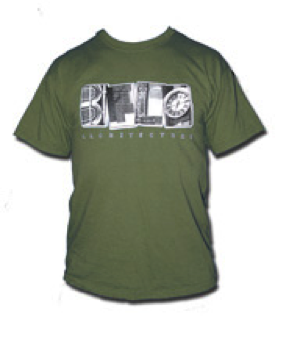 Alumni will receive a 15% discount for any purchase (use discount code BuffAlum09). Do you want to save money on almost all of your major purchases? The Buyer's Edge guarantees the lowest prices on most major purchases like appliances, TVs, cars, furniture, travel, and much more! Check out their easy to navigate website, Buyer's Edge Inc., and Buffalo State alumni must enter "637" as the username and "member1" as the password in order to take advantage of this offer. Exclusive savings for alumni can also be found on this flyer. Up close you see thousands of self portraits drawn by people of the community, from a distance they all unite to form a Buffalo and other Buffalo, NY themed images! Matted Prints, note cards and holiday cards are available at www.facesofbuffalo.com. 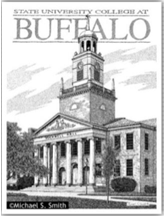 Receive a complementary buffalo postcard print with any online purchase. To receive a postcard print be sure to include your name, year of graduation and BSAA in the "comments/note to seller" section of your order. Call (716) 854-5033 with any questions. Need a new car? Allow the West Herr Select Vehicle Purchase Plan to save you time and money when choosing the perfect vehicle for you! Buffalo State alumni who register for this free program can enjoy a no-pressure car-buying experience with assistance from a designated Select Concierge. Details are available in the program’s brochure. Register for the West Herr Select Vehicle Purchase Plan on WestHerrSelect.com, or by calling (716) 202-3091. To access these free resources, click here. Enter discount code Alumni10 during checkout. If you have questions, please call 1.800.KapTest and speak directly to an enrollment advisor. You must have entire discount code available at time of purchase to complete enrollment. Kaplan is a preferred test prep provider for the Buffalo State Alumni Association. Focus is an interactive on-line career guidance system. It provides information to help you learn more about yourself and identify occupations and majors that may be a good fit for you. Focus is completed online and at any computer that has internet access and web browsing capabilities. The website is available 24 hours per day and 7 days per week. You can create an account and/or login to Focus here. After using Focus, you should make a follow up appointment with a career counselor at the Career Development Center to review your results. Buffalo State alumni can save more than 20% on subscriptions to Buffalo Spree – The Magazine of Western New York! Spree is a national-award-winning magazine known for its coverage of the arts & entertainment, food & dining, home & garden design, regional attractions, and local personalities. In each issue, comprehensive dining guides and event calendars help readers take advantage of the best that Western New York has to offer. To take advantage of this offer and subscribe, visit www.buffalospree.com and enter the promo code BSCALUM in the subscription order form when requested. (This code must be typed in all upper case letters.) You must also hit the “validate promo code” box to process the discount. For just $20 (a discount of $6) you’ll receive 12 monthly issues of Buffalo Spree plus two issues of Buffalo Spree HOME. In addition, you will also receive our Beauty Book, Medical Resource Guide, The Official WNY Performing Arts Guide, and The Holiday Shopping Guide during the course of the year. Create an account on the Shaw Festival's website and take advantage of 25% off Festival Theatre shows including "The Magicina's Nephew," "The Orchard (After Chekov)," and "Henry V." Log in and enter quote code PROMO18 for available dates and shows. Based on availability, not valid on Openings or in conjunction with any other offers or discounts or on previously purchased tickets. Blue or Gold seating only. Not valid on Marquee, Platinum, Gallery or Restricted seating. Discount based on price at time of booking. Blackout dates may apply. Discount offer subject to change without notice. Tax, handling apply. Limit of six tickets per production. Learn more on the Shaw Festival’s website. Save money when you ski/snowboard at Kissing Bridge! Buffalo State faculty, staff, alumni, students, their families, and friends can purchase season ski passes, 10-packs and more at the lowest prices of the season. Check back soon for more information. The Buffalo State Alumni Insurance Program is a convenient source for health and life insurance for alumni and their family members. Get more information on these insurance plans by visiting www.alumniinsuranceprogram.com/buffalostate or call American Insurance Administrators at 800-922-1245 weekdays, 8 a.m. – 6 p.m., Eastern Time. Checking and savings accounts and loans are available through the credit union. A branch is located on campus in Classroom Building A105. View more information about the branch. Call (716) 837-2007 for details.